A load that is poorly seated or secured in a truck or container may cause a traffic accident. The risk is major and life-threatening! It is estimated that 10,000 accidents per year are related to improperly secured loads *INRS data. In the eyes of the law and unless there is a special agreement established between the shipper and the carrier...in all cases...YOU are partly RESPONSIBLE! STABUMAX® Le anti-slip mat is placed on the truck floor, under the transversal load supports at the time of loading. Owing to its extreme coefficient of friction, it limits the risk of accidents associated with the shifting of goods during shipment. STABUMAX® is a compact cardboard coated with an anti-slip solution. This anti-slip mat has a dynamic coefficient of friction of 0.6 and complies with Directive VDI 2700. CGP COATING INNOVATION has created an innovative solution, STABUMAX®, for securing your products. STABUMAX® Anti-slip mat Secure your products and protect your personnel. Easy to install, allows loading speeds to be increased. Limits excessive tightening of additional strapping on lateral fasteners. Efficient even under extreme stresses, high dynamic coefficient of friction > 0.6. As it is less than a millimeter thick, product storage space is optimized. economical, STABUMAX® is available in pallet format, pallet base format or truck or container size rolls. STABUMAX® is single-use and is crush and wear resistant. It is always 100% efficient. As it is disposable, your drivers will have peace of mind; no more questions as to condition of the rubber mats. Resists humid and wet environments, STABUMAX® can be used in all circumstances. Used by the driver or truck or container loading operator. He simply places the pallet slipsheets, pallet base sheets or unrolls the STABUMAX® anti-slip mat under the loads to be secured. Securing, packing, strapping… STABUMAX® anti-slip mats secure your loads. This mandatory and regulated operation consists in securing the goods to the vehicle, restraining them with it and thus preventing them from shifting during shipment. In order to meet the demand from professionals to search for an overall solution, CGP COATING INNOVATION has the STABUMAX® anti-slip mat. The anti-slip mat is used in conjunction with retaining straps and allows a reduction in the number of lashings required. The STABUMAX® provides multi-directional floor load stabilization when used in addition to straps providing vertical stability. The STABUMAX® anti-slip mat is placed on the truck bed, under the transversal load supports. 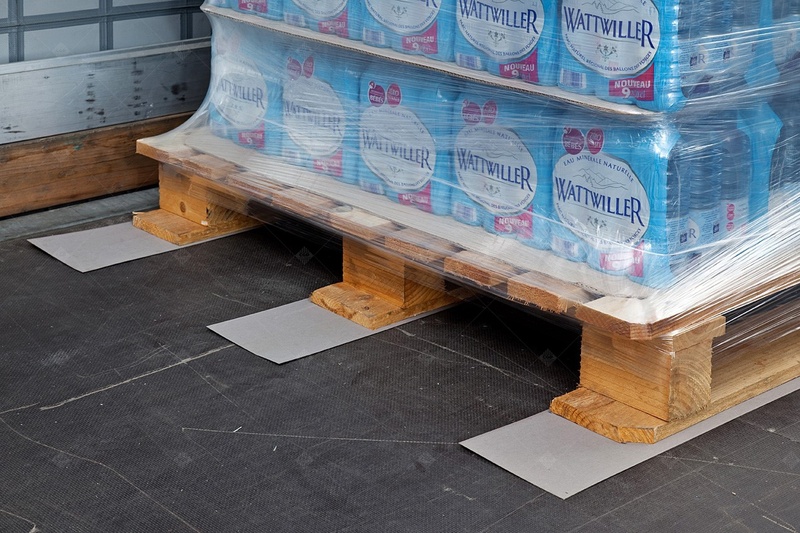 STABUMAX® anti-slip mat, Secure your products during shipment, Protect personnel during loading and unloading. Chaotic traffic conditions and faulty suspension. during transport, onto the road or other vehicles. when the doors or sideboards are opened or the tarp is removed during unloading operations by the driver or forklift operator. or causing the truck to tip over.